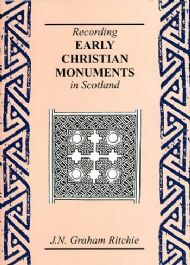 In this publication by Graham Ritchie the history of the recording of the early Christian monuments of Scotland from the 18th century to the present day is examined. Amongst others, Dr Ritchie refers to the work of Cordiner in the later 1700s, Stuart in the mid 1800s, and the seminal studies by Allen and Anderson that were published in 1903. The various styles of drawing the monuments are related to the publication methods of the day. The importance of lithography, in enabling the nuance of preservation and depth of carving to be published, is explored. Photography has a vital part to play in capturing details of these monuments. The Commission's own work reflects the quality that can be achieved. The way that it complements drawing is therefore also investigated.